This book is more advanced than the two earlier books, Figure Drawing for All It's Worth and Drawing the Head and Hands. 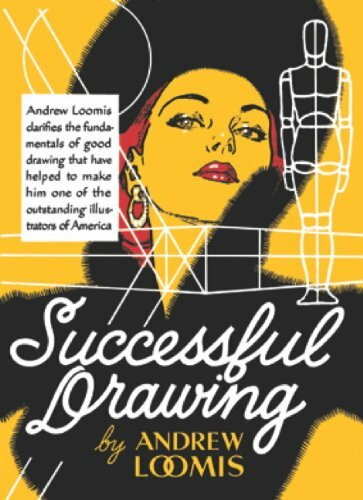 Compared to other books that try to cover everything, this book focuses on certain aspects of drawing. There's a great deal of emphasis on perspective and that section is 80 pages, which is half of this 160-page hardcover. At times, it can be quite difficult to follow because there's too many things explained at the same time. The part on drawing figures on different planes and elevation is quite useful. And also the part on common perspective mistakes. The second half of the book covers lighting. It's stuff like how light rolls of a sphere, cone and cube. The application is more on figures as with the accompanying illustrated examples. There are many useful drawing pointers to take note of. The book doesn't cover everything, or at least topics I would expect from a drawing book. What's missing are topics such as composition, contour drawings, colours, drawing portraits (dealt in his other books) and drawing techniques like hatching, layering tones, etc. It doesn't cover drawing by eye which deals with proportion, although it is mentioned briefly which can be overlooked easily. Ultimately, the book is on understanding the fundamentals behind drawings. There isn't any step-by-step instructions to follow along, you learn by copying what's shown. This is an intermediate book more suited for those with some knowledge of drawing, more specifically for those looking to learning perspective and lighting. If you have the two other Loomis books mentioned above, then you can easily apply what you've learned. If you're looking to draw something instantly, then I would recommend more elementary beginner books. For perspective, you can try Perspective Made Easy, and Keys to Drawing for drawing in general. I'll also recommend Lessons in Classical Drawing because that book is also about successful drawing. Do you ever review colored pencil and watercolor pencil books? Not really. It's more of a copy-what-you-see type of book.